Daphne Milne: You know what writing a book against war is like? It's like writing a book against Wednesdays. Wednesdays... are a fact of life, and if you don't like them, you could just stay in bed, but you can't stop them because Wednesdays are coming and if today isn't actually a Wednesday it soon will be. 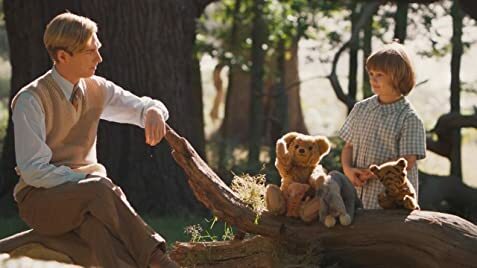 Goodbye Christopher Robin touched me personally and helped me to remember what life is really about. It touches on the trauma that can affect those closest to us. It shows how hard and long those times can affect our lives and those around us. The casting and acting was spot on for me. I could relate to the characters and could relate to their situation. It reminded me in some ways of "Finding Mr Banks", but touched me more deeply. There are movies you go to watch to escape the real world. 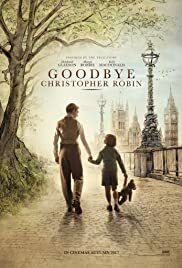 This was a movie that helped me to remember what is important in this world and feel better for it. It was touching, heart breaking and had times that all parents can relate to. In the end it showed me how important it is to spend time with your children. It is a movie I will be adding to my collection.